The golden boy? 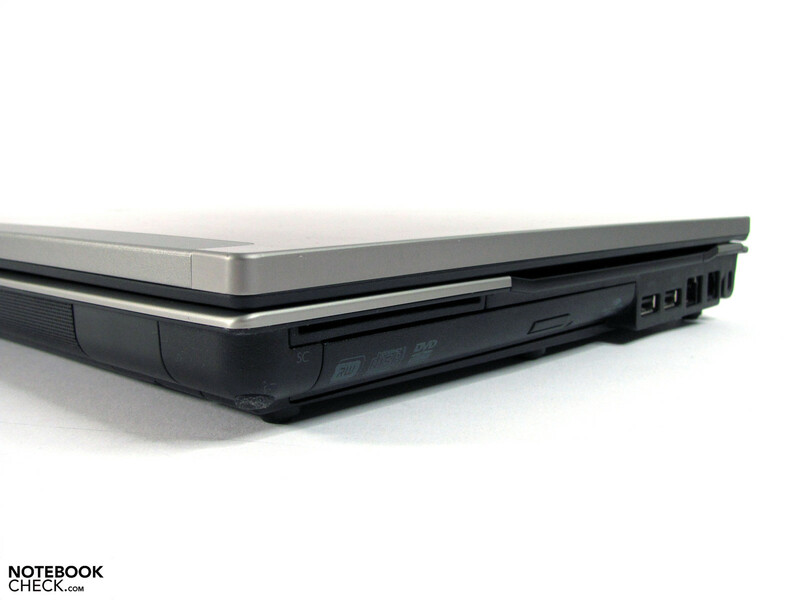 The HP Elitebook 8540p is positioned in between the HP Probook 6540b and the HP Elitebook 8540w due to its price and its performance. Those readers who are curious about how well this notebook performs, will find all the necessary information in the following in-depth review. 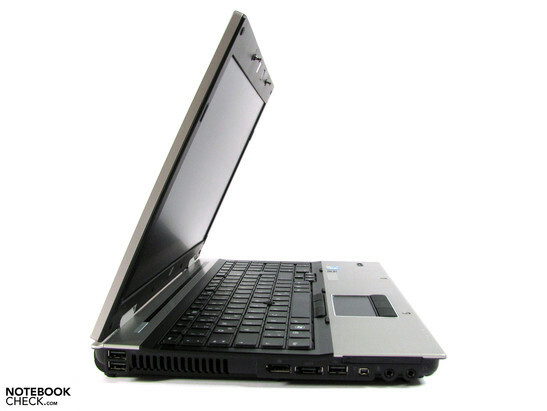 The HP Elitebook 8540p is intended for those users who have high standards for the quality, sturdiness, and reliability of their notebook, but do not necessarily need very high performance. Due to this, the 8540p will not come with a high-end Intel quad-core processor and the Nvidia Quadro or the ATI Fire Pro graphics cards. Even the full HD display, which we are familiar with from the HP8540w model, is not available for this series. 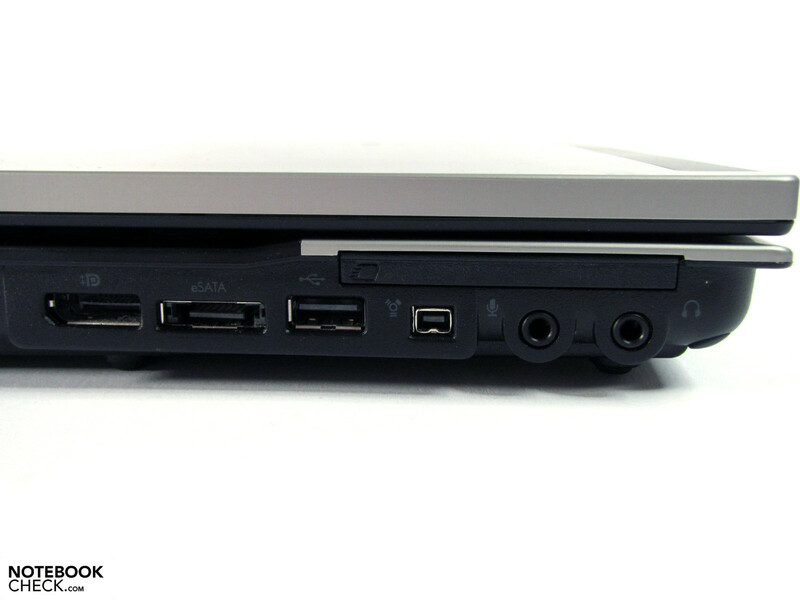 However, the user has to make no compromises when it comes to the matter of guarantee period, the quality of the case and the ports available on the laptop. 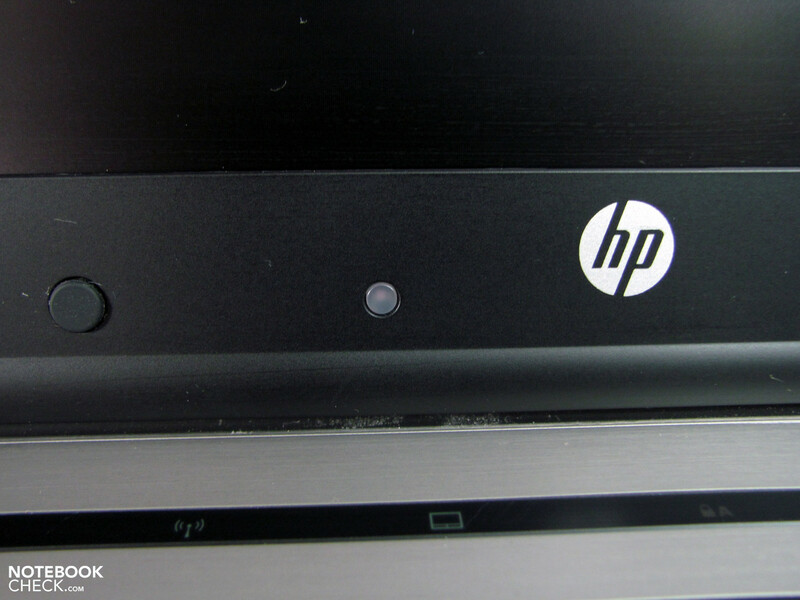 Due to these three points, the 8540p is much better than the cheaper HP Probook 6540b model. In the end, buyers will have to pay very close attention to the specifications of each model and find one which suits their needs best. Our test model is equipped with the Intel Core i5-540M, 2GB DDR3 RAM, 250 GB hard disk, Nvidia NVS 5100 graphics, WVA HD+ display and the Windows 7 Professional 32bit operating system. The price of this variation of the 8540p is 1400 euros (retail price). The cheapest variation costs 1300 euros and comes with a WXGA display. The case is almost identical to that of the HP 8540w. The bright colour reflections of the aluminium surfaces are the same and so we find it hard to tell the difference between the two models. The case is very sturdy and of high-quality, and easier to clean than the case of the HP 8540w. Unfortunately we found the hinges to be too tight, even in the HP8540p, which is rather annoying for a laptop of this price. 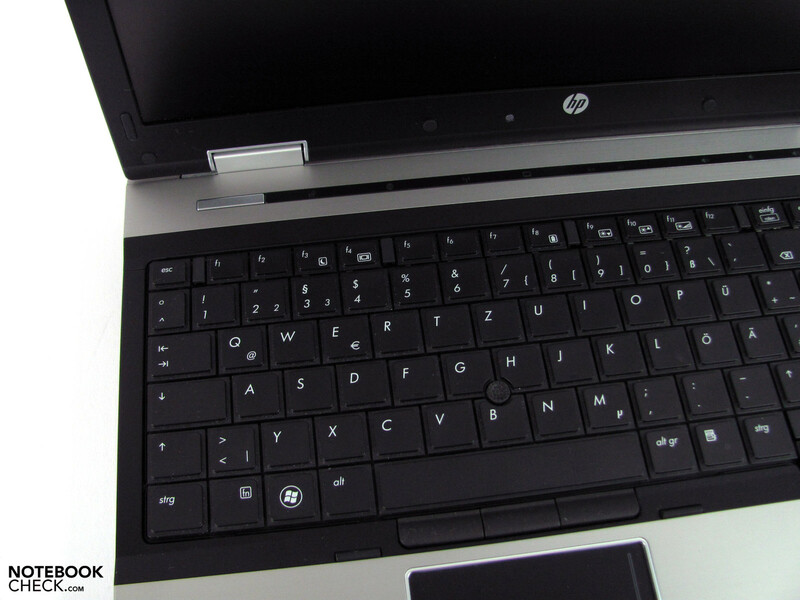 To find out more, please read our in-depth review of the HP Elitebook 8540w. 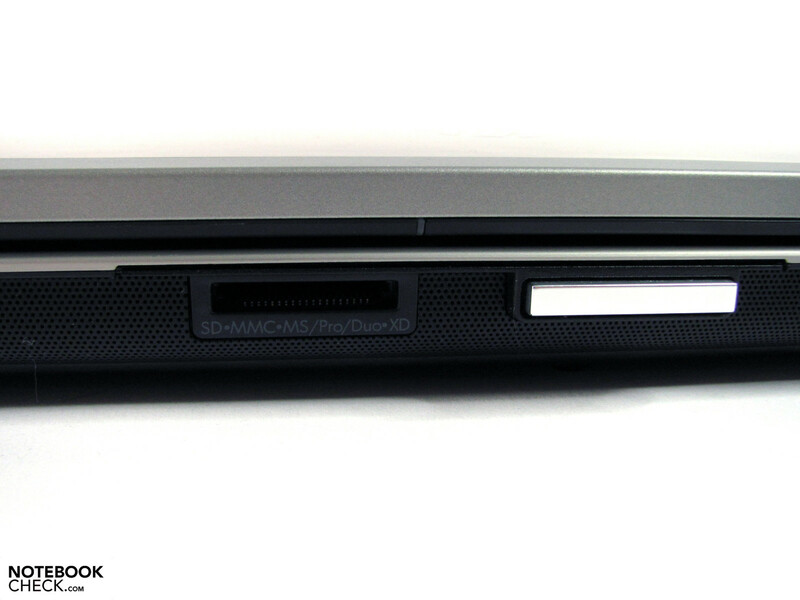 The available ports and devices are also almost identical to those offered on the HP 8540w. The only difference is that there is no blu-ray optical drive and the operating system is the 32 bit version of Windows 7 Professional. A storage medium can be ordered from HP Support and the 64 bit version of Windows 7 Professional can be included in the delivery. In addition, Windows XP Professional is available as a downgrade option in the delivery of the laptop. 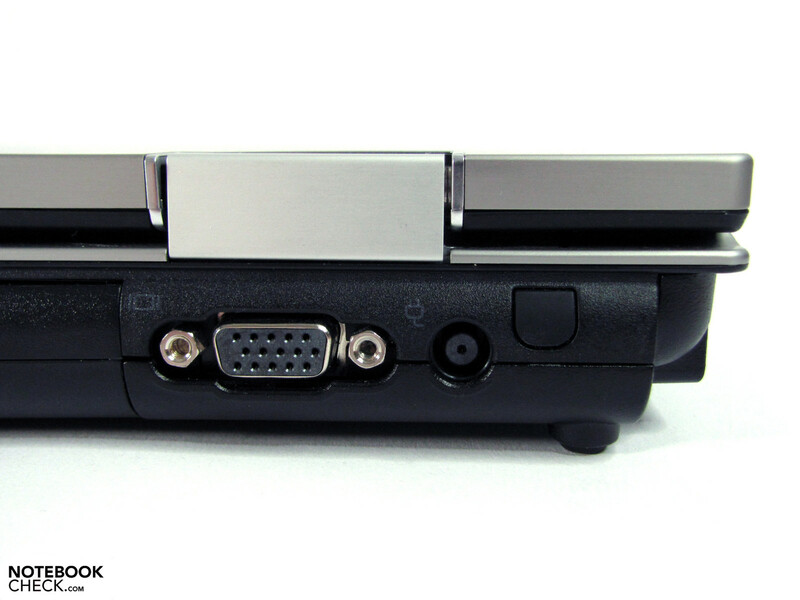 The ports all work at the same usual speed except for the USB ports which have the new 3.0 standard. However, sadly this does not apply to the slow card reader from Ricoh. Although the VGA output at 1280x1024 pixels is clear and sharp, in our test model, the image output via this port is rather unclear. Still, the port should suffice for occasional use. 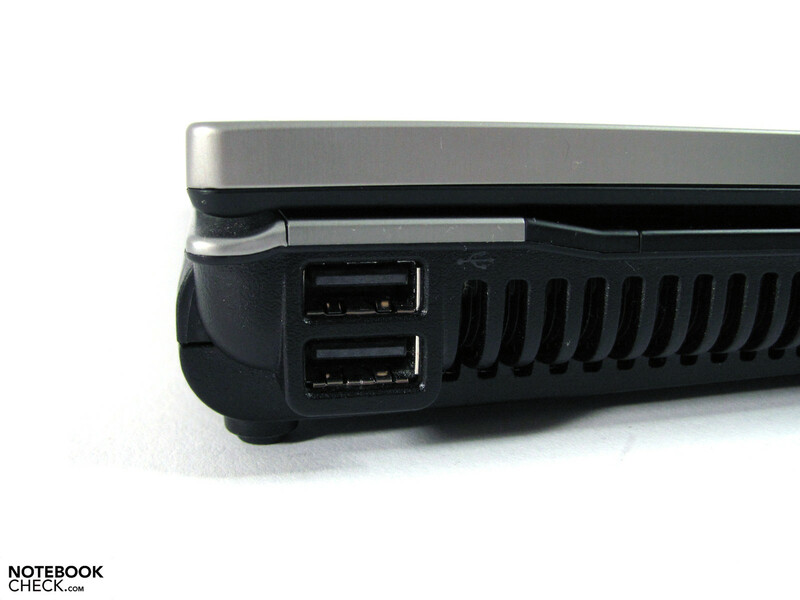 More details about the ports of the 8540w can be found under HP Elitebook 8540w. 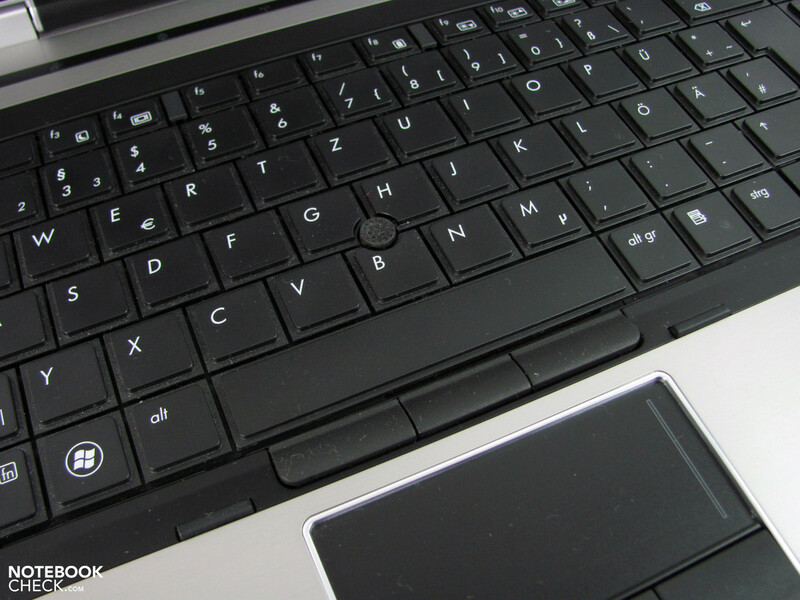 Very good keyboard with various features, a number block and keyboard backlight (in the display bordering). 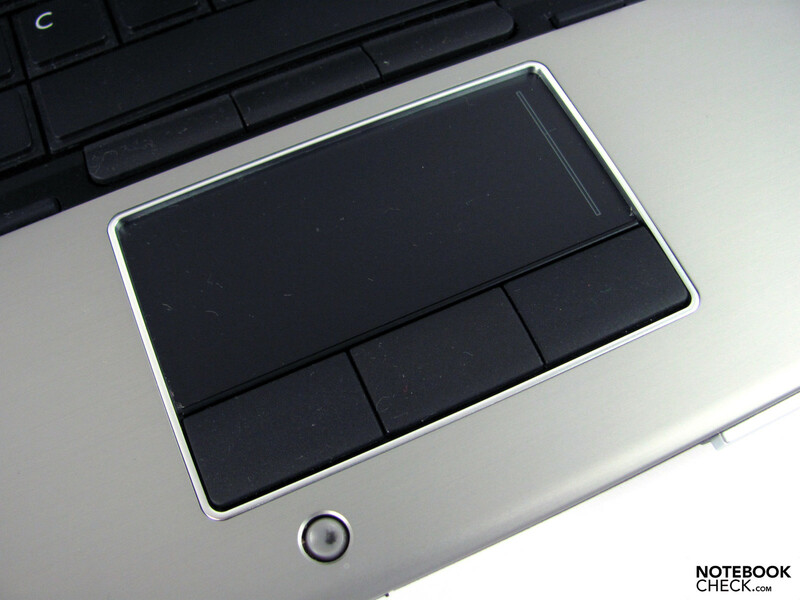 Good touchpad without multitouch feature, but still easy-to-use with rubber input keys. Good interface, but, the user will have to get used to it first. 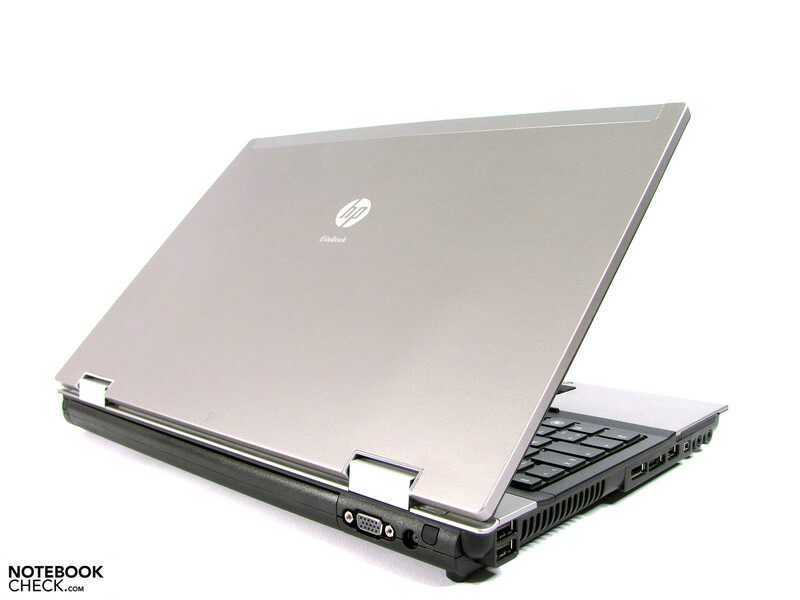 HP offers the Elitebook 8540p with two different 15.6“ non-glare LED dispays. One display has a WXGA resolution (1366x768, 100dpi) and the other has a HD display, a full resolution of 1600x900 pixels and 117 dpi (this version is available in the test model). The balance between the resolution and the screen size will deliver the optimal performance by showing the icons and on-screen letters properly. 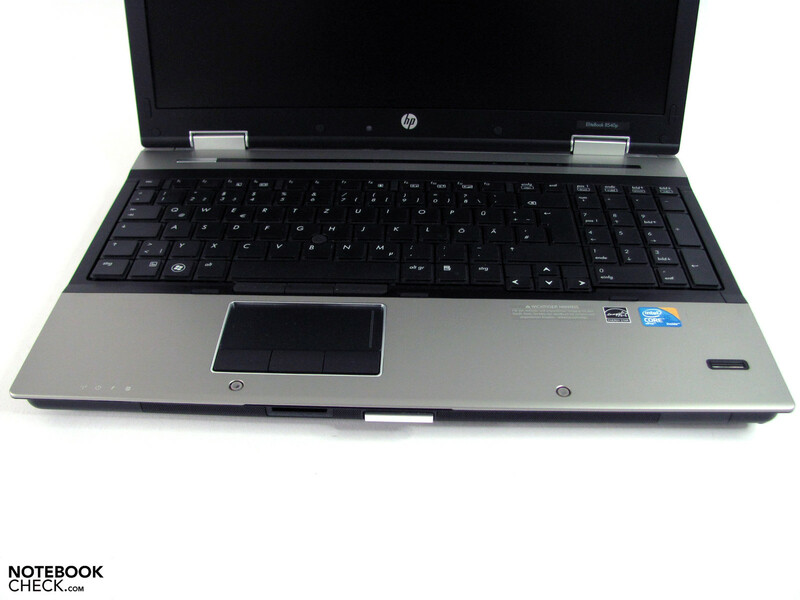 While the HP 6540b panels were made by CMO and LG, the version installed in the Elitebook is from AU Optronics. The contrast, illumination and brightness lie one level higher than the display of CMO and LG, giving an overall impression of high quality. The measurements taken from the display are as following: the brightness ranges from 228 cd/m² to 260 cd/m², and gives an average of 246 cd/m²; In addition, the lies at 88%. All of these are good values. The full brightness level is still available when the laptop is being run on battery, and the matt display allows for good use outdoors. Only direct sunshine can hinder usage during outdoors use. The contrast value of 879:1 is above average and results in a dark black. Even the colours profit form the good contrast value and look very good. 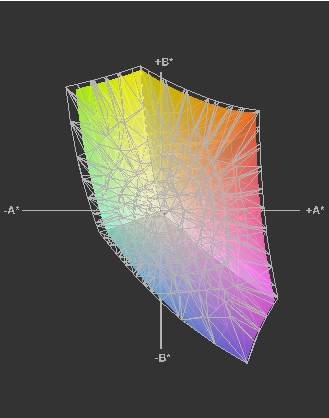 The colour range displayed on the screen lies distinctly above that of the average laptop with 82.5% of the sRGB range. 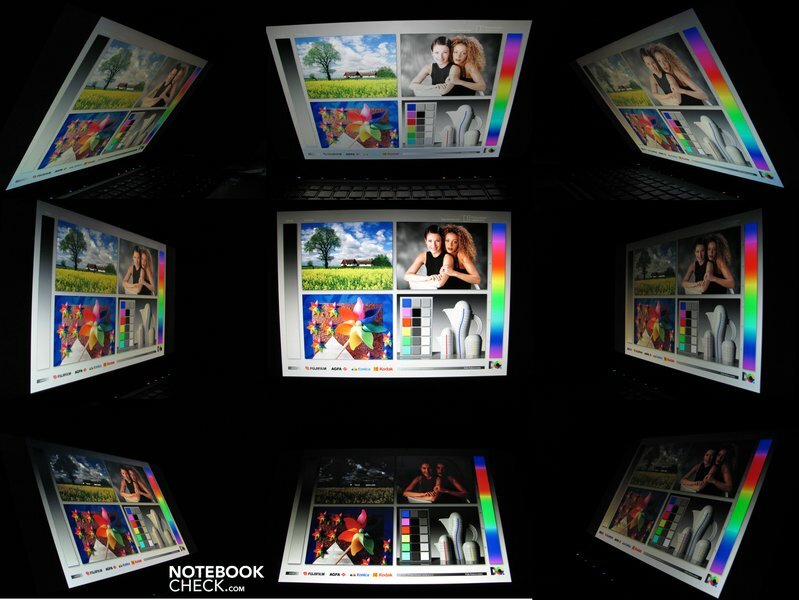 However, most ambitious picture editors will be disappointed as they require a notebook which can deal with the entire sRGB spectrum. The same applies for viewing angles. Horizontally, and vertically, the viewing angles are far more stable than usual, but one has to deal with colour changes and brightness changes very early. The "legibility" of the displayed contents remains more or less constant. Bleaching and inversion of the content colour may occur at extreme viewing angles when the display is adjusted rapidly. 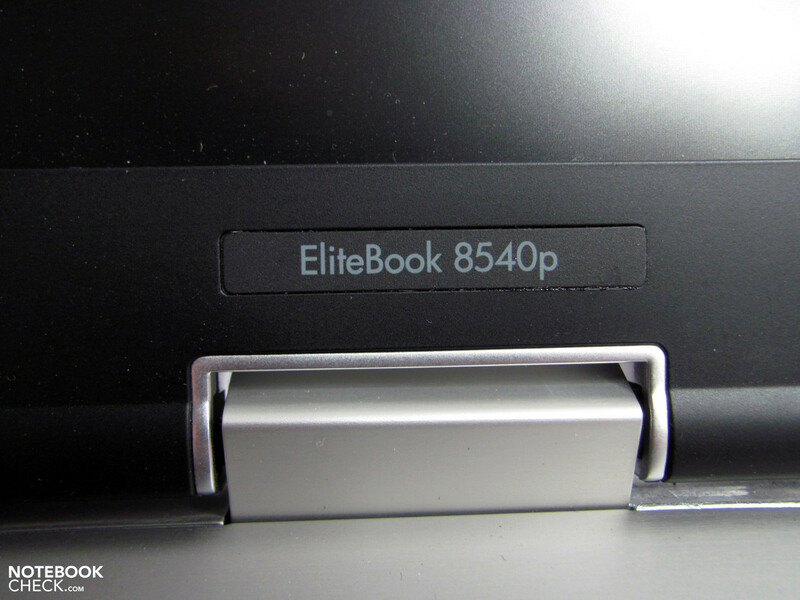 The HP Elitebooks 8540 all use the Intel QM57 chipset. The fastest currently available CPU for the "p" models is the Intel Core i7-620M CPU, which we are already familiar with from the 8540w. 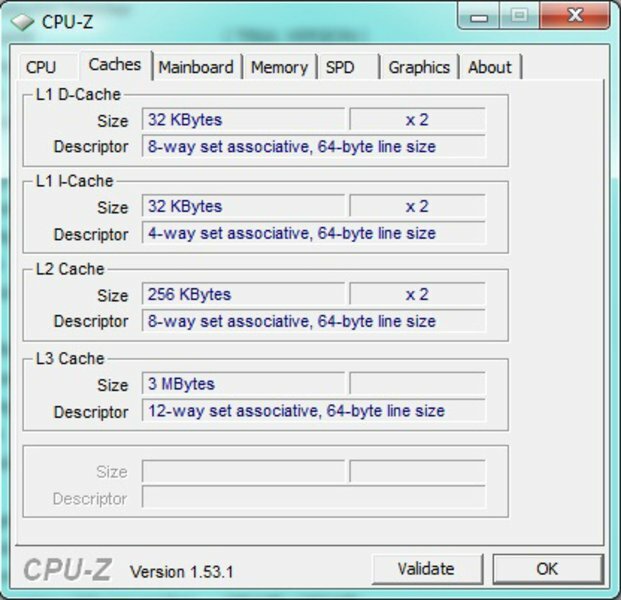 Quad-cores are not available, and neither are a third or a fourth RAM slot. Our test model is equipped with the Intel Core i5-540M processor and has a dedicated nVidia NVS 5100 graphics chip like all the other 8540p models. 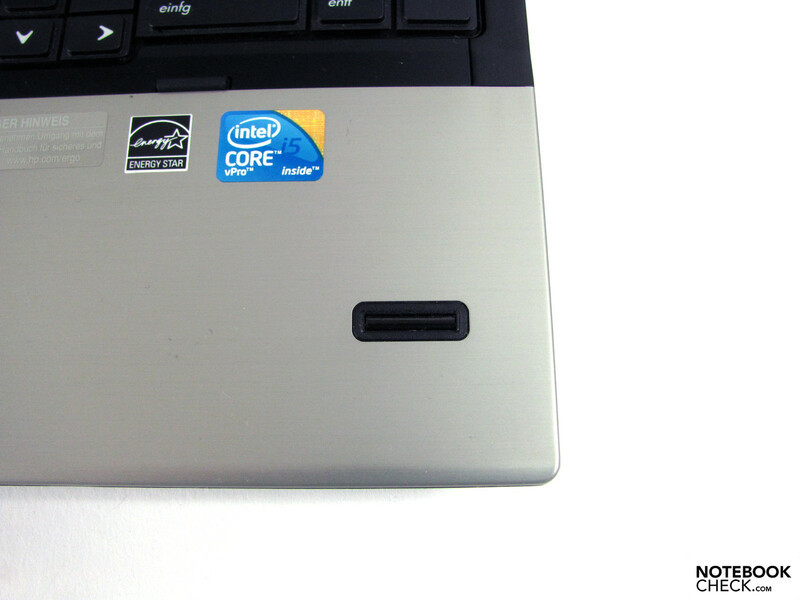 The RAM amounts to a poor total of 2 GB, and can be accessed easily via the flap on the bottom of the notebook. 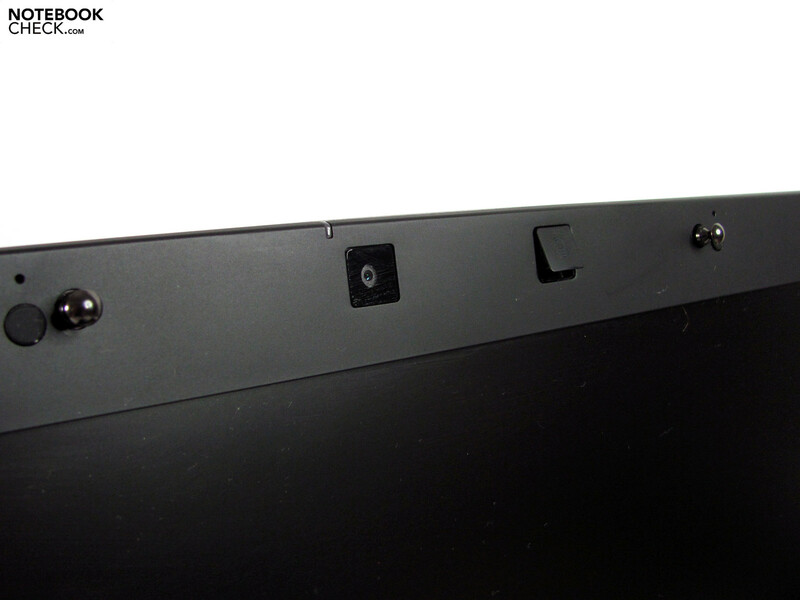 The primary slot of the 8540w lies below the keyboard. 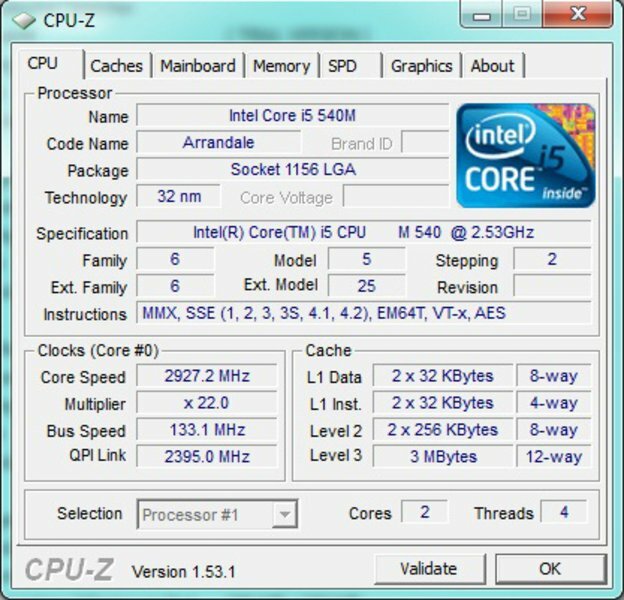 The technical specifications of the Core i5 dual-core CPU include current technology such as Turbo Boost (up to 3.06 GHz in single thread), "Hyperthreading" (2 threads per core - basically a simulation of 2 extra cores so as to make the total number of cores 4 and thus simulate the processor as a quad core), integrated graphics chip (switched off, no Optimus) and 3 MB L3 cache. The "Turbo Boost" and "Hyperthreading" functions allow the users to push the CPU to its limits and use every last dreg of potential. 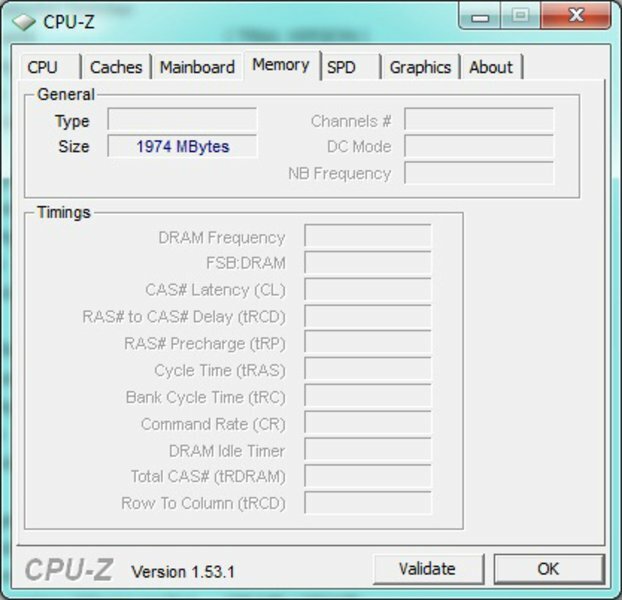 The CPU can be overclocked to 3.06 GHz for those programs which only use a single core. Plus, multi-core software will profit from the hyperthreading function, where 2 additional cores are simulated to allow four threads to run simultaneously. The CPU benchmark results lie as expected between those of the Intel Core i7-620M and the Intel Core i5-430M. The wPrime 1024M calculation resulted in 576 seconds and the Cinebench R10 (32 bit) gave a CPU result of 3179 points (single core) and 7028 points (multi core). MP3 to AAC conversions were executed at 29,8 times the standard speed by the processor, and in this case the test models processor is weaker than the i5-520M of the Sony Vaio B11 with 33,4 times the standard speed. There are many reasons for this slower performance such as: the system (32/64 bit), RAM available (2GB/ 4GB), chipset (QM57/ HM55) and software (iTunes 32/64bit). The Turbo boost function did not show anything out of the ordinary. In our benchmark list, the CPU, of our test model, ranked 22. This shows what potential the processor has in it. Various extensive rendering and converting tasks pushed the system to its limits. Typical tasks like internet, office, picture editing, etc can be used fine in energy-saving mode as they do not require a lot of the processing power of the hardware. While the Quadro graphics cards are designed for professional 3D programs, the NVS family of graphics chips is intended to be compact, sturdy and reliable. Especially CAD programs require a lot of performance and as the NVS graphics cards are not intended for such graphics-intensive programs, they easily fall behind the Quadro FX880M graphics card, which has similar hardware specifications, but is specifically designed for graphics-intensive programs (see SPECViewperf results). On the other hand, 3D Mark`06 / Vantage, Cinebench R10 OpenGL Shading and video conversion via CUDA all work without any performance loss. The system scored 2534 points in the 3D Mark Vantage benchmark and thus lies at the same level as a Geforce GT240M or GT330M. In the Cinebench R10 OpenGL shading benchmark (32bit), the end score was 3602 points, but this result is 1000 points less than that of the relatively professional Quadro FX880M card. 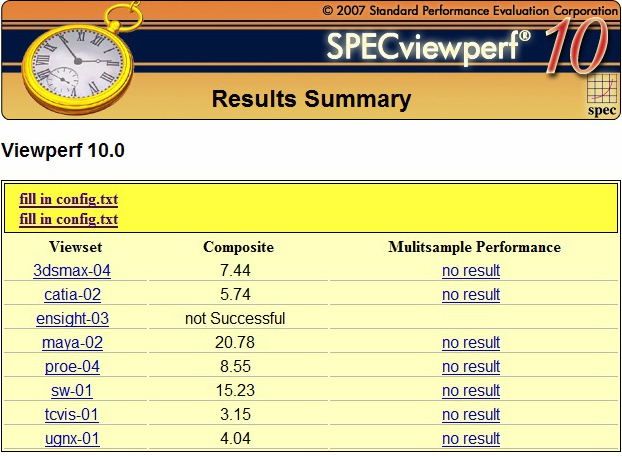 In conclusion, drawing from the SPECView results, we can sum up that the NVS does not have the OpenGL optimization and can be defeated by the Quadro series in some cases. The video conversion by the GPU, using CUDA, has a lot of advantages. 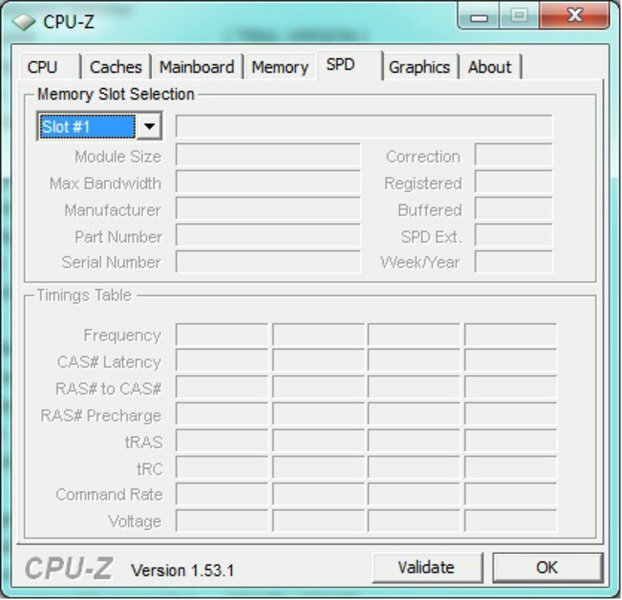 The system load is reduced tremendously for one, and depending on which CPU is installed in the system, the task may be accelerated significantly. Since Intel introduced the Core ix processors, the performance bonus is not as big anymore, but in bigger projects the end result is definitely better. 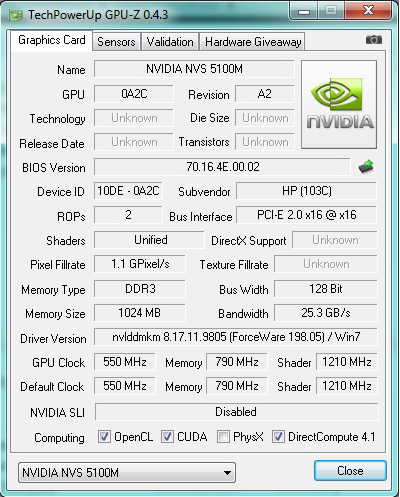 The nVidia NVS5100 can shine when using the converter "Badaboom", which allows for good CUDA support. The system turns our test film in H.264 format in a resolution of 427x320 pixels with 73,2 fps. The CPU usage is at 20% during this conversion. 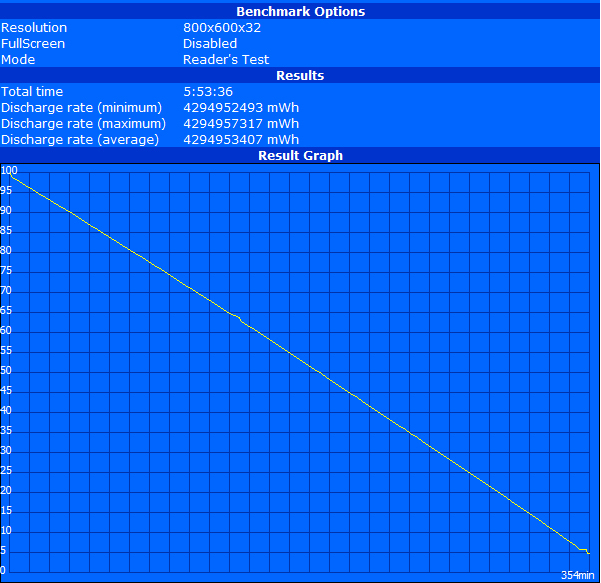 The NVS5100 has managed to reach the same level as the Quadro FX880M from the 8540w workstation with this result. Our second test program, the Cyberlink Mediashow Espresso, was supported neither by the Quadro FX880M nor by the NVS5100. Thus, the conversion of the "Full HD" H.264 test trailer had to be done by the CPU alone in H.264 format with a resolution of 480x270 pixels. The result of 74 seconds surprised us a little, as the Probook, with a i5-430M CPU (Intel HD) took 44 seconds and the Sony Vaio VPC-B11 (Intel HD) with a Core i5-520M only required 11 seconds for the same task. In comparison: this task was completed by Badaboom with CUDA and NVS5100 in 40 seconds. 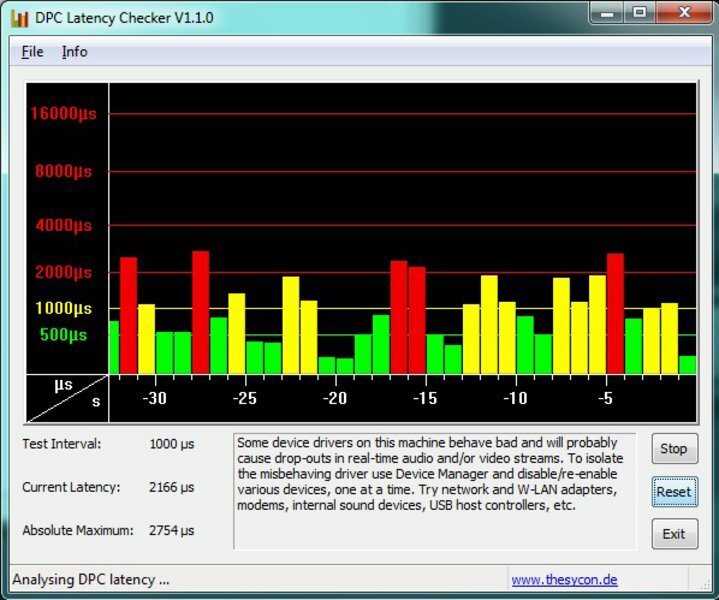 The DPC Latency checker shows that the same problems crop up in the 8540p as in the HP8540w. 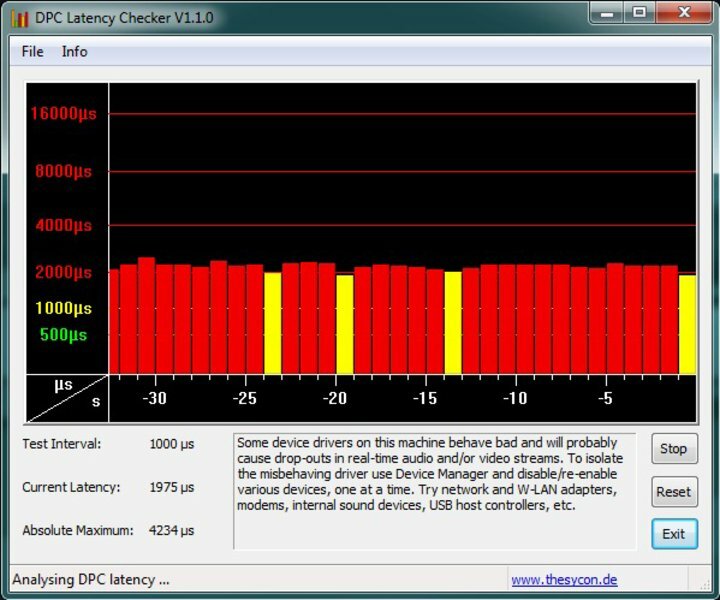 Numerous latency timings lie in the red region and are a cause for worry, as the usage of external devices might be hindered by these bad timings. For example, synchronisation errors are very probable. We deactivated W-LAN, LAN, Modem, USB 3.0 Host controller and IEEE1394 controller. This led to a slight improvement but still a lot of the timings remained red. So it is recommended that buyers of this laptop spend some time checking for mistakes and updating the drivers. The program performance is overall good as is confirmed by the result of 5863 points in the PC Mark Vantage benchmark. The difference between the 8540p and the 8540w is around 1700 points. 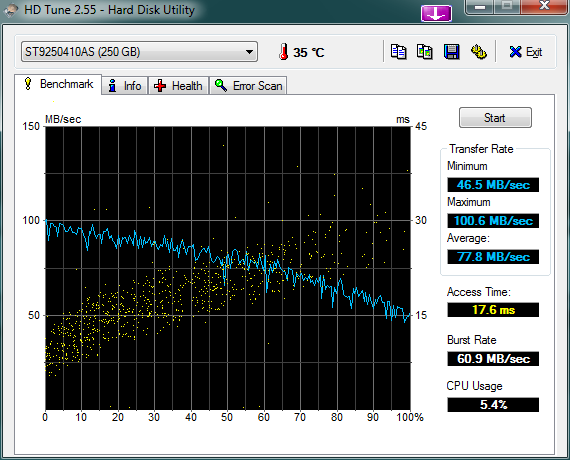 The hard disk and the RAM are part of the reason why the 8540p performs slower. As the RAM only amounts to a single 2 GB module, we tested the system again after installing a second 2 GB module in the available free slot. In the following PC Mark Vantage test we found that the 8540p scored 6773 points. Although the RAM upgrade is cheap, changing the hard disk performance is not so easy. This is due to the reason that the hard disk performance can only be significantly altered by replacing it with a SSD or having 2 hard disks in Raid-0 array. Still, even without all these changes, the performance when using programs such as Photoshop Elements, Open Office, Skype and web browsers was flawless as expected. The hard disk from Seagate has a capacity of 250 GB and runs at 7200 rpm. Due to this the transfer rate is slightly over 100 MB/s at its maximum and 77 MB/s on average. Thanks to these values, the hard disk belongs to the fastest notebook hard disk class. As the system performance is otherwise very high, swapping the hard disk out for a SSD would be recommended, if the buyer really wishes to remove the final barricade preventing full performance. A Raid-0 connection between two hard disks is possible but could lead to problems, such as, in the worst case, complete data loss. Users concerned about the security of their data should use a Raid-1 connection, which would lead to the mirroring of the data on the 1st hard disk onto the second hard disk. Games can be run fluidly on the 8540p if the detail level is reduced. For example, the Sims 3 (21fps), and Grid (29 fps) can run surprisingly fluidly with high settings despite the nominally low frames per second. On the other hand, games such as Anno 1404 can be rather slow at a similar frame rate (19 fps). This is tricky. The HP 8540p is usually comfortably quiet with an emission of 31.2 dB(A) (for this level, one must first deactivate the "always on" option of the fan in the Bios. The cooler fan is barely noticeable and operates at a comfortable frequency. This state is possible to reach during light usage with all energy-saving options on. However, if the HP 8540p has just recently gone through heavy usage, then the cooler fan will not always reduce its speed back to the original default level. In addition, the motor noise of the Seagate hard disk with an emission of 34.4 dB(A) means a much louder background noise, than that typically emitted by the cooler fan. When data on the hard disk is being accessed, the emission can rise to 35.2 dB(A). So as to test the hard disk emission levels we took it out of the laptop and booted it up with a USB stick (Linux Mint). The hard disk noise emission immediately fell down to a much quieter 31.2 dB(A). We had a similar experience when we tested the Probook. In this case, SSDs or slower hard disk with a rpm of 5400 might be better; However, due to the higher cost/slower transfer speed (respectively) the swapping out of the current hard disk is not recommended. Maybe this is why the current configurations of the HP 8540p do not offer either of the above. 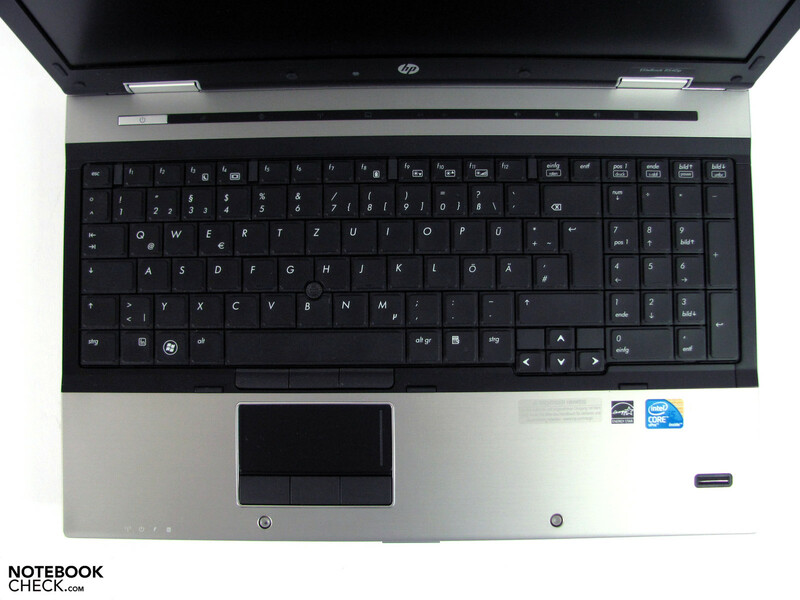 DVDs are run significantly louder on the HP laptop, and the noise emission level lies at 37,5 dB(A) when playing a film. The clearly noticeable maximum loudness of 44 dB(A) is acceptable when considering the performance but is distracting for most users when it is continuous. The temperatures of the HP 8540w are more moderate and reach a maximum of 42.4 °C on the bottom of the laptop under heavy usage. This is 10°C less and there is no interference. The hand-rest regions can heat up to 30°C and can thus be ignored. 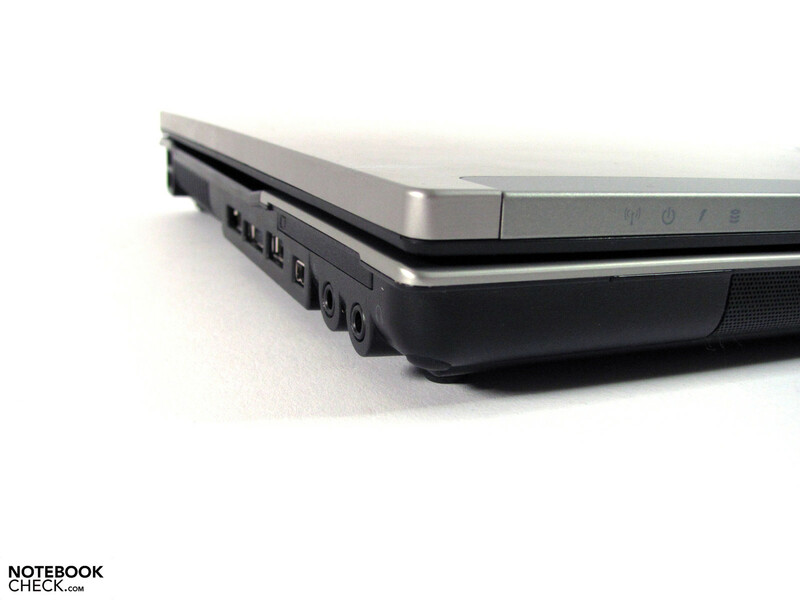 Without heavy usage, the laptop surface remained under 30°C. (±) The average temperature for the upper side under maximal load is 34.9 °C / 95 F, compared to the average of 29.4 °C / 85 F for the devices in the class Office. (+) In idle usage, the average temperature for the upper side is 26.1 °C / 79 F, compared to the device average of 29.4 °C / 85 F.
(+) The palmrests and touchpad are cooler than skin temperature with a maximum of 31.5 °C / 88.7 F and are therefore cool to the touch. (-) The average temperature of the palmrest area of similar devices was 28.2 °C / 82.8 F (-3.3 °C / -5.9 F). The speakers deliver a sound output which is prone to high tones, but the speakers can still deliver an undistorted sound output over a wide range of volume. The speakers can still deliver good enough sound for some office presentations which include music. 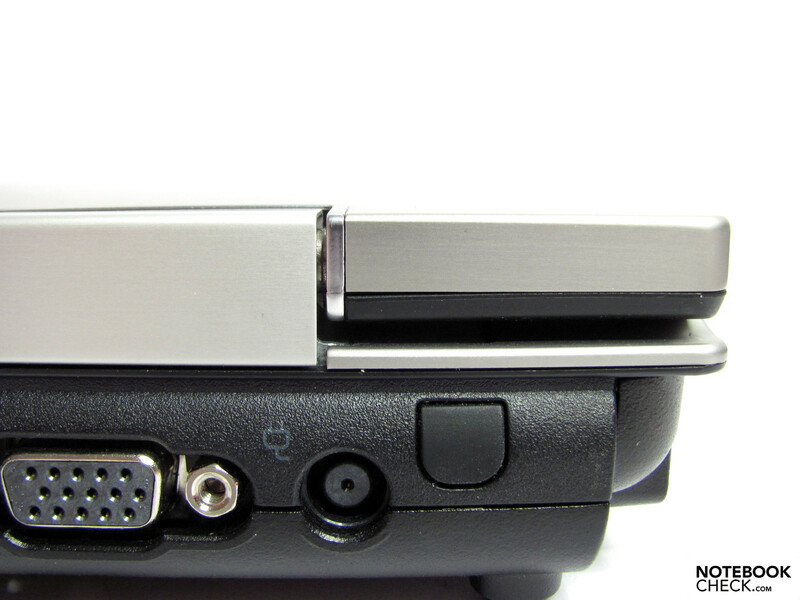 For anything more, the user will have to get external speakers to be truly satisfied with the sound quality. 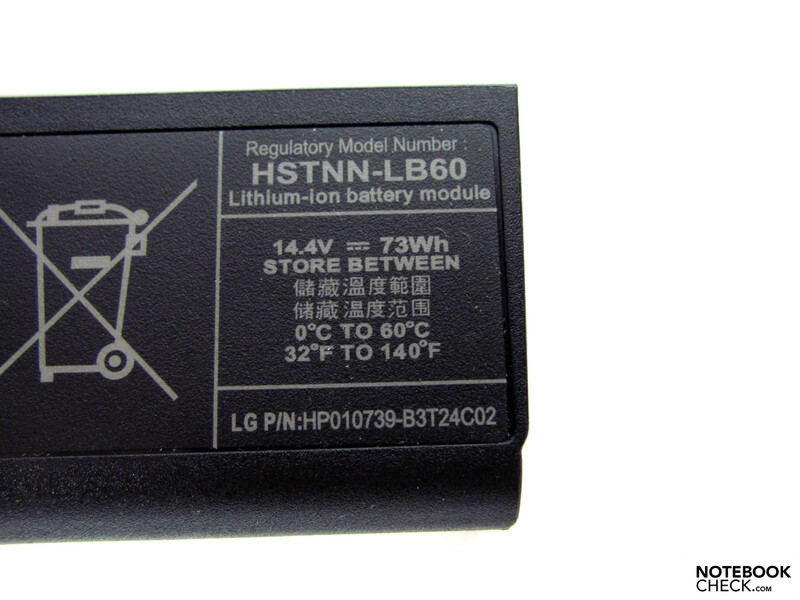 The HP 8540p notebook uses a 8 cell battery with a capacity of 73-Wh, instead of the 68 Wh "Longlife" battery used in the HP 8540w. The somewhat higher capacity means that users will be happy due to longer run times, yet the missing "Longlife" addition to the name means shorter lives. The run time of the notebook during mobile use can be further extended by buying the optional 8 cell travel battery with 52-Wh (AJ359ET, ca. 120 euros, 455g) or a 12 cell high capacity battery with 95-Wh (AT486AA, ca. 130 euros, 800g). 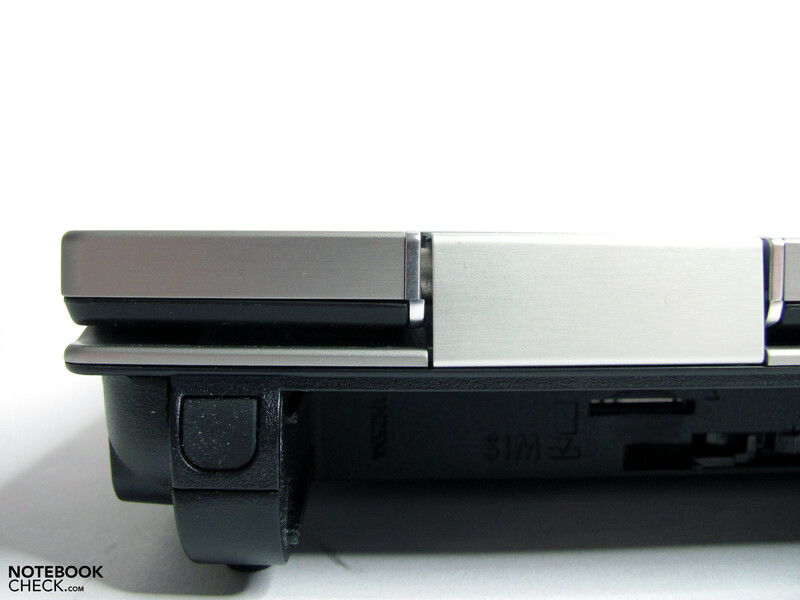 Both are connected from below and can be connected to the secondary battery connection available. A separate swap case is not available. 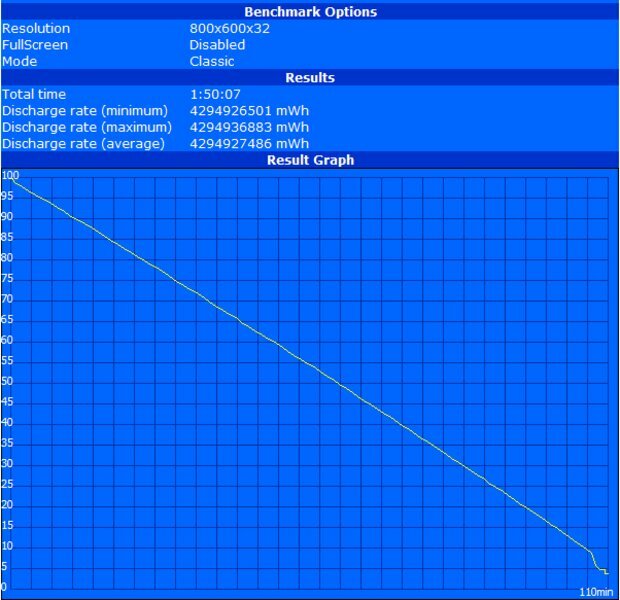 The power consumption measured by us lay around 13.2 W while the notebook was idle. Unfortunately this is still higher than the power consumed by the HP 8540w (12.9 W), but it can still score due to the relatively low value. The maximum power consumption value of 78.5 W is some 6 W less than that of the Workstation. In addition, during mobile use, the energy-saving options can be turned on and thus the user can easily reduce the consumption. In the Battery Eater Readers test (all energy-saving options turned on for maximum battery life) the notebook scored 354 minutes. The Battery Eater Classic test (minimum run time with all power consuming hardware switched on and maximum brightness) the laptop lasted 110 minutes. In the practical test, with adjusted settings, the notebook ran for 290 minutes with activated WLAN and 3 hours (178 min) when we played a DVD film. All these above-mentioned activities were ended when the battery had only 3% power left. The HP 8540p manages to reach a good run time of up to 6 hours, and thus allows for practical use everyday and the optional 95 Wh battery doubles this run time. The HP 8540p offers a lot less when compared to the workstation 8540w, but it can still perform well. The CPU belongs to a lower performance series, the RAM and the HDD are smaller, and the display has a lower resolution, but, is of good quality. 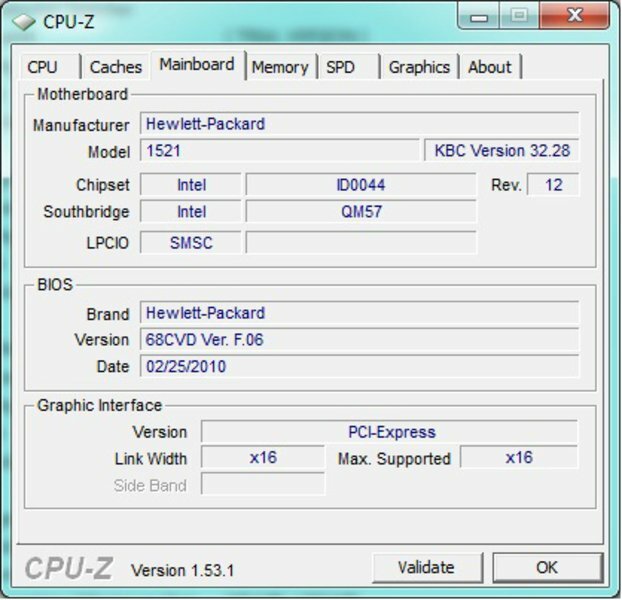 All-in-all, the HP 8540p has a lot to offer with its pre-installed 32 bit version of Windows 7 Professional. The Nvidia NVS 5100 is suited far less for CAD projects than the Quadro FX 880M. However, in all other cases, the graphics cards perform equally well. 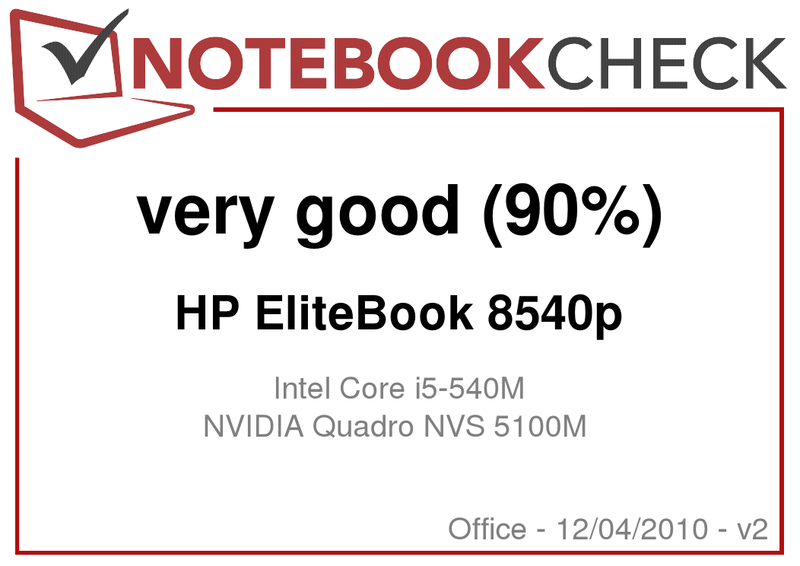 Unfortunately, the HP Elitebook 8540p has a few small flaws in the workmanship and the cooling control seems to work with a mind of its own at times. On the other hand, the case, the extensive ports and the 3 years guarantee are very good. 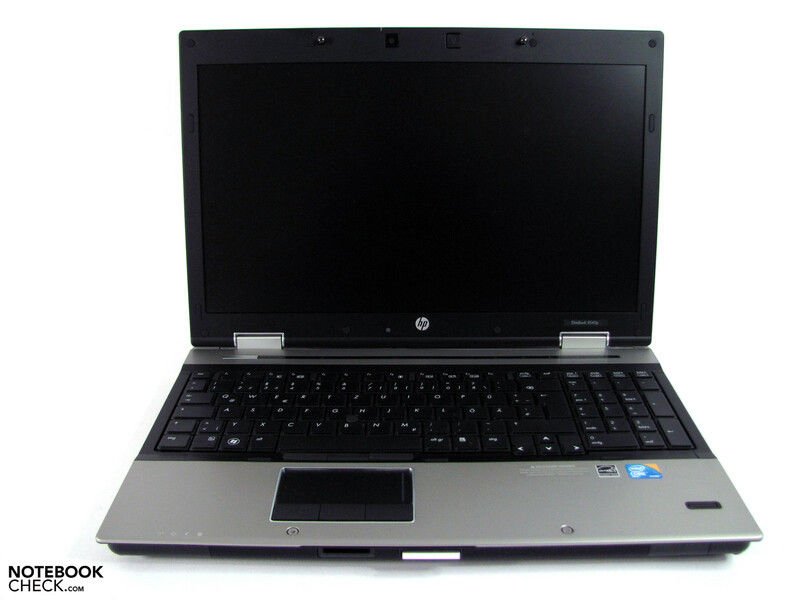 The battery life and the price are also much better than that of the HP8540w. 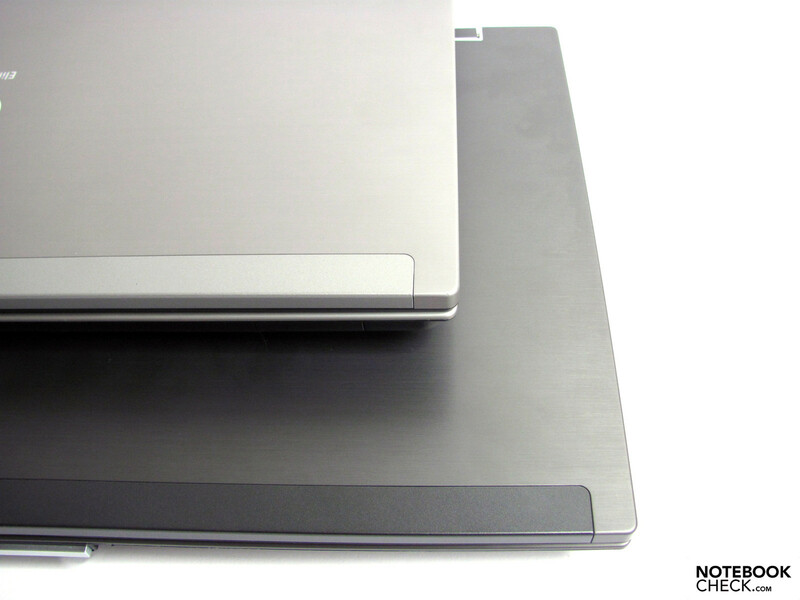 The HP Elitebook 8540p fills the gaps between the HP Probook 6540b and the Elitebook 8540w, as it offers a good balance between performance, ports, price and quality. The card reader is very slow with a reading speed of 1.7 MB/s. Display, quality, performance, and ports. A good cooler fan control. The rather heavy weight HP has thrown around with the new Pro- and Elitebooks. ...is varied to say the least. Various different configurations of many different models are available to choose from. While some companies, like Lenovo and Dell, have a wide variety of models and configurations, companies like Toshiba reduce this range to the three available configurations of the Tecra models. 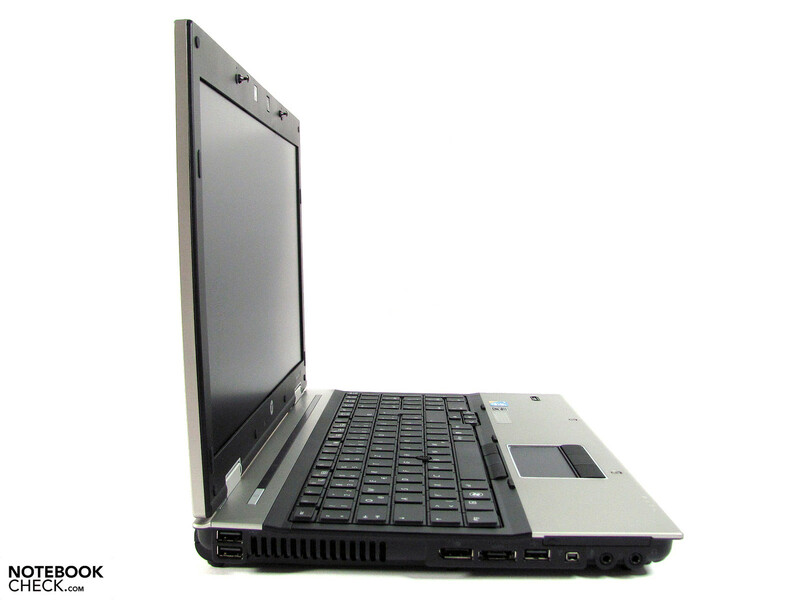 For example: Dell Latitude E6510, Lenovo T510, Lenovo W510, HP Probook 6540b, HP Elitebook 8540w, Fujitsu Celsius H700, Tecra S11, etc.